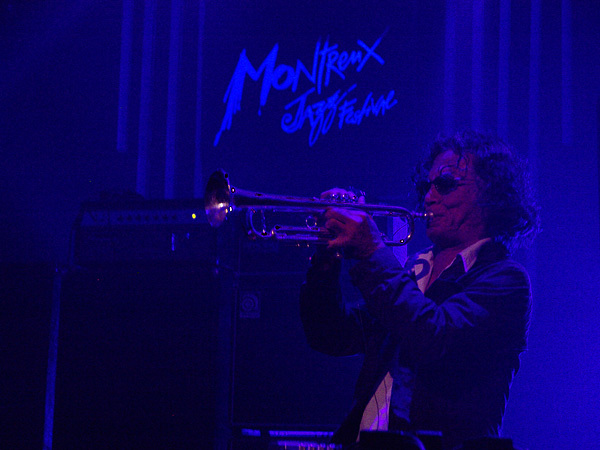 Montreux Jazz Festival 2009, Tribute to Chris Blackwell: Bill Laswell's Method of Defiance, July 12, Miles Davis Hall. Bill Laswell bass, Bernie Worrell keyboards, Dr Israel vocals, Hawk vocals, Toshinori Kondo trumpet, Guy Licata drums, DJ Krush turntables. Photo ID 10019061. © Jacques Lauber - fusions.ch.